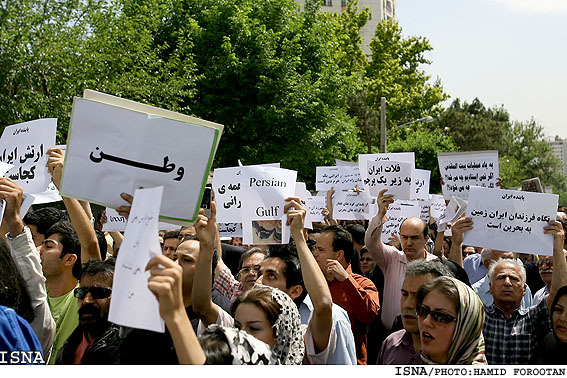 Tehran, April 29, IRNA -- Hundreds of students held a gathering in front of the United Arab Emirates embassy in Tehran, on Tuesday to protest against the recent move by several Arab states to forge the name of the Persian Gulf. 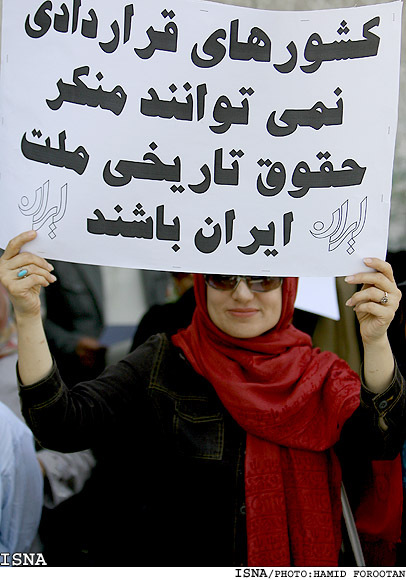 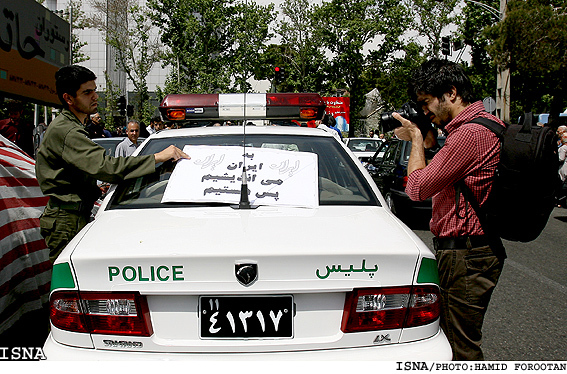 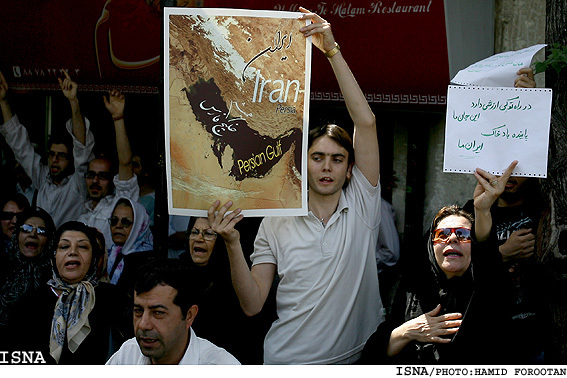 The protest gathering was held on the occasion of the National Persian Gulf Day (April 30). 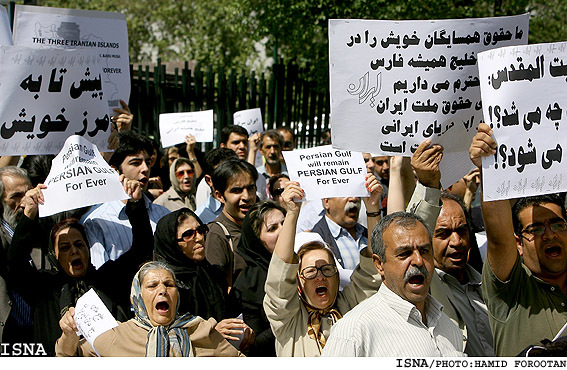 To safeguard the cultural and historical identity of the Iranian nation, the High Council of Cultural Revolution has designated April 30, marking the withdrawal of Portuguese forces from the Strait of Hormuz as the National Persian Gulf Day. 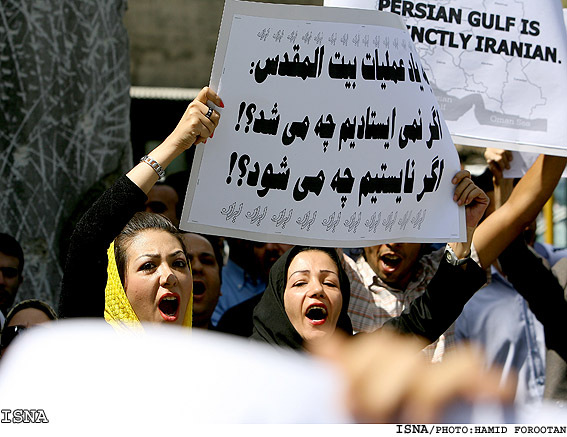 During the protest gathering, the students quietly and calmly expressed their anger at forging the name of the Persian Gulf by a number of Arab countries, including the UAE. 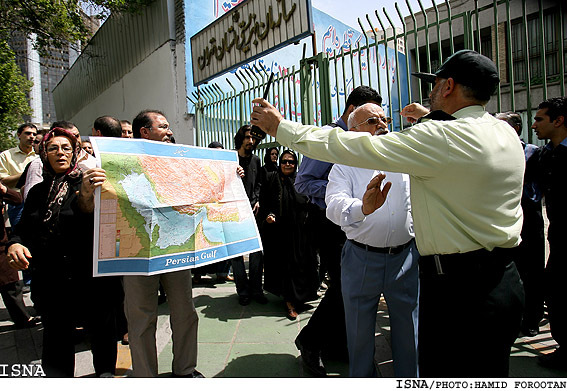 The students, divided into small groups, chanted slogans against the move taken by several Arab states. 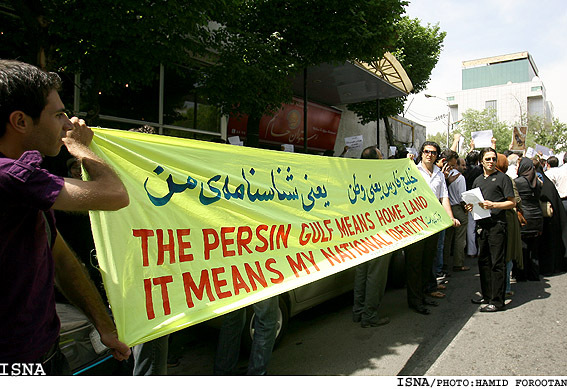 The Persian Gulf with its God-granted rich resources has been playing a decisive role in Iran's economic and social development in the past 1,400 years. 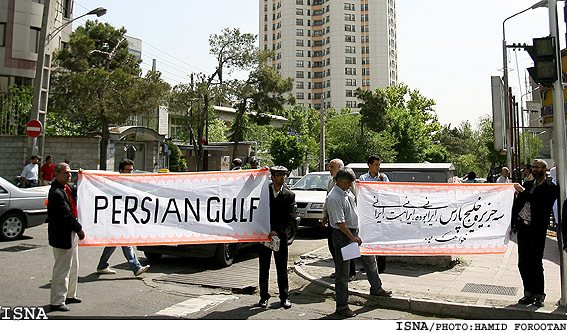 The Persian Gulf is the world's third biggest gulf, after Mexican and Hudson gulfs.